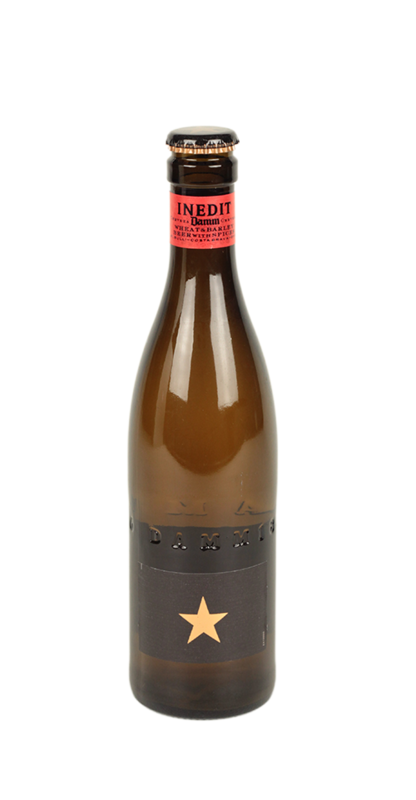 Created in 2008, Inedit was produced by Ferran Adrià and his team of sommeliers at the world class restaurant, El Bulli. The beer is designed to accompany and complement varied flavours of food in modern gastronomy. With a slightly cloudy appearance this complex pale beer has a unique personality. In 1872 August Kuentzmann Damm chose Barcelona to start a new life for his family. Four years later he founded his beer company and Estrella Damm was born, producing quality beers passed down through generations. Widely known for being the beer of Barcelona, Estrella have used 11 generations of master brewers to continue making great beer in the present day.